Beautiful Spring Eyes with COVERGIRL. For spring, eye makeup is more about a natural, no fuss look than it is about brights. It's a fresh, welcome change. A lot of what we saw on the runways was natural full brows and beautiful lashes. 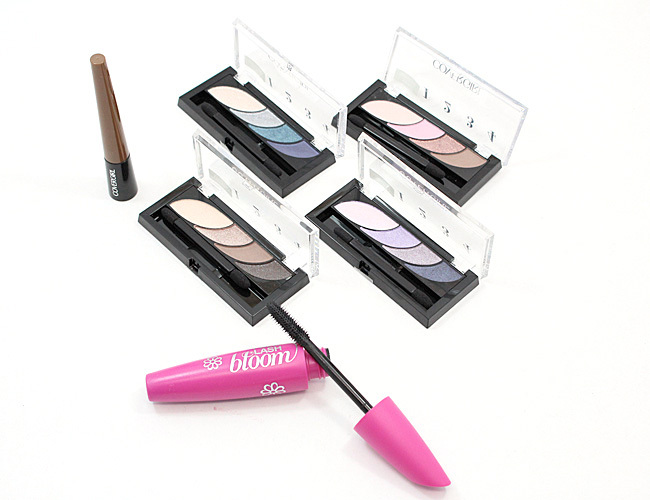 COVERGIRL took that back to basics look and centered their spring eye collection around just that. COVERGIRL has launched a great new mascara, a brow and liner duo and some amazing new shadow quads that I am more than impressed with. 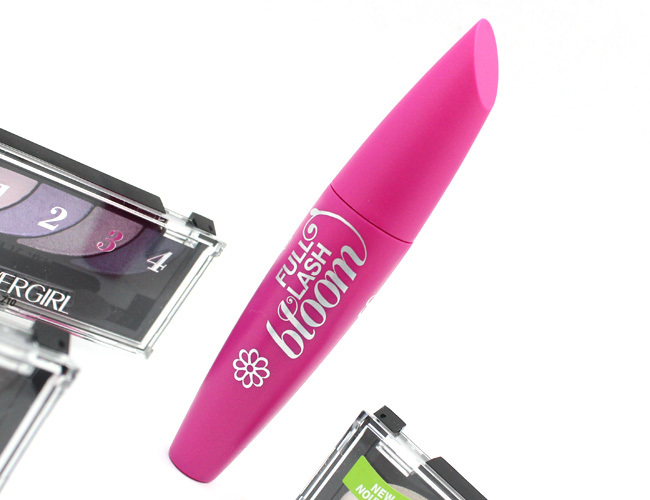 Let's start with the star of the new collection, COVERGIRL Full Lash Bloom by LashBlast Mascara ($6.99 - $8.99). I am a HUGE fan of the COVERGIRL line of mascaras and I'm adding Full Lash Bloom to that list of faves. With a perfect combo of brush + formula, my lashes are really full without ever feeling stiff or dry. There are no heavy waxes or clays to weigh them down or leave a film that makes them stiff. It really is neat to see how much volume I can get with them feeling so soft and natural. I love how the brush separates the lashes too, which I think helps with clumps -- because there aren't any. I don't experience any flaking or smudging either. Just nice, soft, full lashes. It's a great everyday look. Full Lash Bloom comes in Black, Very Black and Black Brown. I am so impressed with the brand new COVERGIRL Eye Shadow Quads ($8.99 - $11.99). These highly pigmented quads each have 4 wearable, on-trend colors in one single palette that takes the guesswork out of getting a gorgeous, neutral eye. There are six palettes available in the best shades for spring. I like how blendable and long-wearing the shadows are - like I said, so impressed. Each palette contains a highlighter color, a base shade, a contour shade and a deep shade that can be used to further contour or line with. My favorite is Notice Me Nudes and Blooming Blushes. 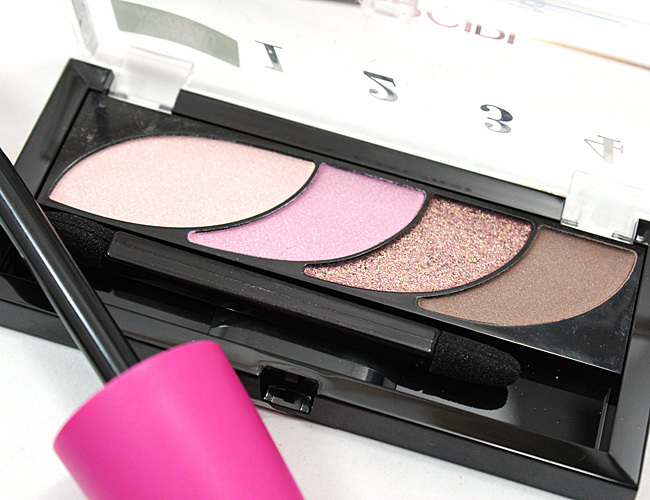 They both are really great natural palettes and are musts for your makeup bag. You will not be disappointed. Use you good makeup brushes and you'll think your using shadows that cost 3X as much - promise. Finally, a really unique product is Bombshell Pow-der Brow + Liner by LashBlast ($8.99 - $11.99). This double-duty product fills in brows and softly lines and define eyes. It is a powder that clings to the brows as well as to the skin, so that the look is more natural. When used on the lashline, it is soft and natural as the powder also seems to wiggle in between the lashes where it catches and adheres to them. It creates a sort of smokey yet soft look to them. This comes in Black, Dark Brown, Medium Brown and Blonde. Look for all of these new COVERGIRL products at your favorite drugstore or mass retailer now.